To keep audiences engaged with TV show Westworld before the much-anticipated second series, HBO brought the amusement park to life. HBO’s hit TV series Westworld features a luxury theme park run by artificially intelligent "hosts" in a place where visitors can enact their wildest fantasies. With a 16-month gap between the end of the first season and the second series’ debut, however, the network had to reignite the interest of existing viewers as well as provide newcomers with a compelling reason to tune in. Working with US-based brand experience agency Giant Spoon, HBO placed fans right in the heart of the show by building a real-life version of the Westworld theme park. A worthy winner of two categories at this year’s Campaign Event Awards (Activation at a Festival or Public Event and Outdoor Experience), the activation aimed to immerse visitors across all touchpoints, from the set to the narrative to the actors, using technology to enhance/ the experience. The event took place over three days during 9-11 March at the SXSW festival in Austin, Texas. With "SXSWestworld", HBO wanted to demonstrate that, at a conference focused on technology, there is value in having tangible human experiences in an increasingly virtual world. Guests were invited into the 90,000-square-feet park, a 30-minute drive from downtown Austin, with no orientation, no map and no rules. They entered the park through the actual train from the show and could explore 16 structures, including recognisable establishments from the show, while interacting with the hosts, played by more than 60 actors. In keeping with the series’ narrative, there were mysteries and puzzles at every turn, while Easter eggs throughout the venue held clues to season two. Technology also played a major part in heightening the experience. Each participant had a personally addressed letter awaiting them at the "post office" on set that used the results of a personality assessment to direct them towards various storylines unfolding within the park. Those taking part also received a social share page via email with their letter, a personalised "wanted" poster and an Old West-style photo gif that glitched to reveal more clues. The event posed many challenges, such as logistics – it took four months of planning, five weeks of on-site construction and nearly 60 vendors to bring "SXSWestworld" to life. There was also a week’s worth of rain in the run-up to the event, with the agency having to ship in gravel to avoid muddy grounds. Marc Simons, co-founder of Giant Spoon, says that "SXSWestworld" could not have happened without the buy-in and collaboration from all parties involved. 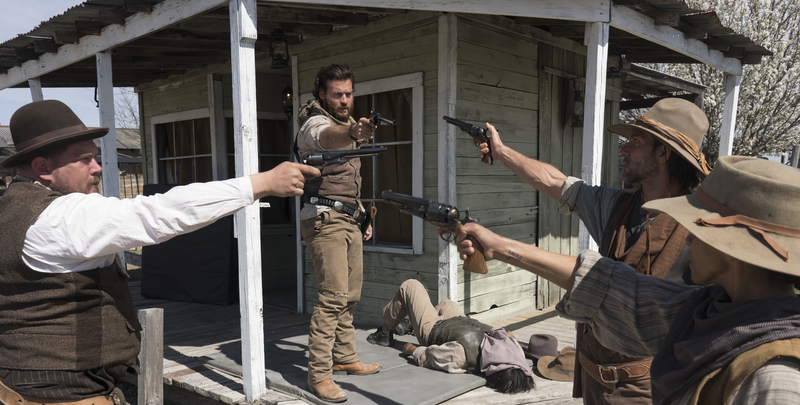 "Building Sweetwater [the fictional town in Westworld] quite literally took a village and there was an immense amount of creative trust between the partners that we brought to the table, but especially so from our client HBO," he says. "It had to be the right time, at the right venue, with the right audience and, of course, the right idea. But our collaboration was the power that allowed us all to execute something to the scale that we did." This activation marked the most ambitious promotion in HBO’s history. "Teams are invested in experiential projects for weeks, if not months on end, and it can sometimes feel daunting that outsiders may not feel as hyped," Simons adds. "Luckily, in the case of 'SXSWestworld', it was just the opposite – people didn't want to leave." Nearly 500 pieces of press were published from sources spanning the globe, with some touting "SXSWestworld" as "one of the best publicity stunts of the 21st century"